However, you need to choose the right survey site. The paid survey market contains hundreds of sites that will allegedly pay you for your opinion. However, many sites are scams, asking you to complete surveys without any intention of pay you. Some take forever to pay you, making you reach high minimum amounts that can take forever to reach. They may then pay only by check, which can take another week or so to reach you. Other sites, however, pay instantly via PayPal. Once you cash out, you’ll receive your money in your account within 48 hours. This is great for stay at home moms and others who rely on survey sites to pay bills and need fast cash. This one has been around for a long time. They are completely legitimate that has been paying reliably for years. A truly international conglomerate, PaidViewpoint is one of the best. You can take mobile surveys, online surveys, and PaidViewpoint has a refer-a-friend program, as many of the best survey panels do. Countries They are Open To: Czech Republic, Gibraltar, Greece, Croatia, Iceland, Jersey, Lithuania, Luxembourg, Latvia, Moldova, Malta, Nigeria, Portugal, Romania, Slovenia, Slovakia, Saudi Arabia, Ukraine, Venezuela + more! PaidViewpoint is an alternative to those surveys that take forever to complete and are boring. The site focuses on interesting surveys that take just a few minutes of your time. They average just 5-6 minutes and have an average of 10 questions. The longer the survey, though, the more money you can earn. There are some other things that make PaidViewpoint different from other sites. They never ask for your name or physical address, so your privacy is protected. Unlike every other survey site, you can never screen out of a survey. Once you’re in a survey, you’ll get paid for it once you answer all the questions. This eliminates a lot of the frustration that people have with survey sites. Once you receive $15 in your account, you can cash out. The only payment option is PayPal. You will receive your payment within 72 hours. If you’re looking for low minimum payouts and quick payment, Superpay.Me offers both. 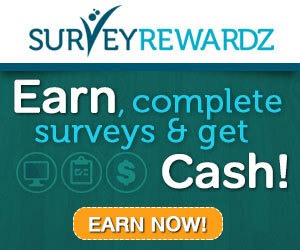 The site offers many surveys that can be completed for anywhere from 50 cents to $2. You can also earn money by completing free offers. You can make as much as $2 per offer. Paid offers often require credit card information, but can pay as much as $10. You can also watch videos for money, but the pay is usually only 1 cent or so. Superpay.Me uses a points system. Each point you earn is worth 1 cent. After you earn 100 points, you receive $1. Once you reach $1 in your account, you can cash out. You can receive your cash via PayPal within 24 hours, although most payments are made within eight hours. Do note, however, that you are responsible for paying a 2 percent PayPal fee, so this decreases your earnings even more. The website for RewardingWays has a similar look and feel in comparison to Offernation and Superpay.me. The premise is also the same: complete surveys and tasks in exchange for cash. The minimum payout is only $1. You can withdraw your money at any time once you reach that threshold. Some users get paid several times a day. Payment is quick and easy and done through PayPal. There is a 2 percent fee, however. Like Superpay.Me, RewardingWays uses a points system. One point is equivalent to 1 cent. Earn 100 points and you have earned your first dollar. 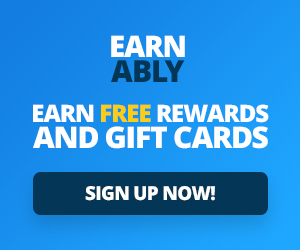 Join today and get 20 cents added to your account. Like Offernation, the site has a good referral program. Refer your friends and you will receive 25 percent of their earnings for life. There are almost 300,000 members on the site. RewardingWays has received good reviews, so it’s worth taking a look. This panel was founded at Columbia Business School in 1999. It was created to facilitate conversations between researchers in different levels and disciplines at the school. Panel members get paid $16/hour for their cooperation. The E-Poll website could certainly use an update, but don’t be fooled by the appearance. This is a top notch panel with fun, interesting surveys covering entertainment and current events. Online, mobile, and teen surveys are available for users. This “premier market research firm” has two different panels: the consumer and business professional panel, which is geared towards TV viewing, ad effectiveness, automobiles, and other consumer-related categories, and the physicians and medical professionals panel, which focuses on experiences in the healthcare and medical communities. Payouts are usually between $50 – $250. Next articleWhy InboxDollars Is One Of The Best GPT Sites?